Want to take cool aerial photographs of your home? Want to shoot videos of yourself sunbathing in Maldives from above? Or maybe you just want to own a cool drone camera and show off. This GoPro was off the market for some time, but it is coming back with a vengeance. The new Karma will be an improved version of the old one, and that was one of the best drone cameras available at the time. Currently, there’s a prototype of the Karma available for testing, which is what this review is based on. The best feature of the upcoming GoPro Karma is that it’s extremely portable, just like all other super popular GoPro cameras. Interestingly enough, the drone’s wings can fold down by itself. Plus, Karma drones are really easy to operate. Flight is very stable and the operating buttons are simple to master. You will find taking aerial shot a piece of cake whether you are a newbie or an experienced drone pilot. The drone as a corresponding app called GoPro Passenger. The app lets anyone connected watch the drone being flown. In some modes, multiple people can use the app to fly the drone. Karma comes with an in-built camera with specs yet to be released. 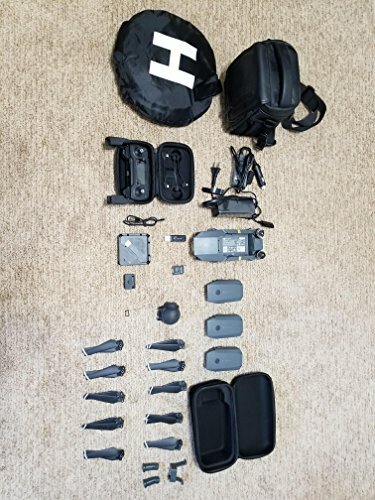 If you don’t like it, you can easily outfit the drone with other renowned GoPro cameras like Hero 4, Hero 5 Black and Hero Session. The Karma drone, of course, as a cool camera grip to shoot video smoothly. While there are many perks, the battery life is a nightmare. The advertised battery life is 27 minutes. But in real life, you are lucky if it last between 15 to 20 minutes. 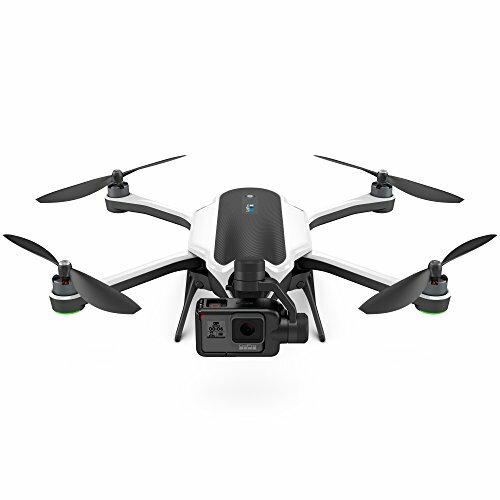 This camera drone has been personally endorsed by the famous vlogger Casey Neistat. DJI, a high-tech Chinese company, is known around the world for creating some of the best drones ever. You may be familiar with the DJI Phantom drones, but Mavic Pro is really the best the company has released in recent times. The most remarkable feature of this drone is that it’s made to be ultra portable. In fact, it’s so compact, this drone can be folded into a small package. You can fold this up and take it with you on vacations or work trips without a problem. It’s intended for professionals mainly, but it’s easy to use for hobbyists and casual users as well. This drone is equipped with a superior tech called OcuSync transmission system. It enables Mavic Pro to transmit signals within a 4.3 mile range. That’s quite impressive. Plus, you can fly this drone at a speed of 40mph. That’s remarkable for a drone of this size. In addition, there are neat video features like TapFly and ActiveTrack. The camera is 4K capable and is basically the best you can get on a drone. Perhaps the most incredible feature of this drone camera is its ability to “see” incoming objects and avoid collision. This is definitely one of the safest drones we have flown thanks to advanced and highly precise sensors. However, this drone does have some trouble navigating strong winds, possible due to the lightweight design. Also, you cannot operate Mavic Pro without a smartphone. If you are looking for a drone that’s more affordable than a GoPro or a DJI, this could be your choice. This quadcopter is cheap because it does not come with a camera. This is both a good and bad feature. On the bad side, you’ll have to buy a drone camera to equip. On the plus side, you can buy this drone for cheap and outfit is with a top-of-the-line GoPro camera. 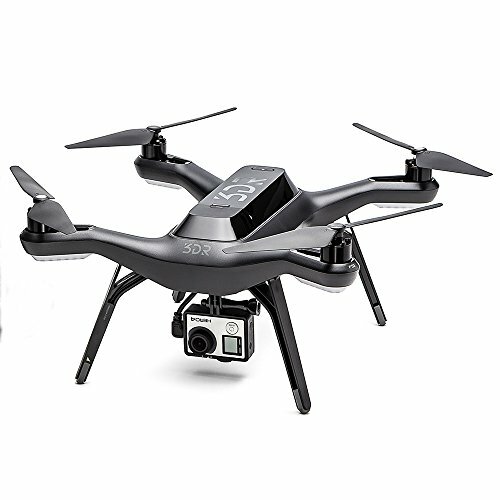 You can essentially convert this budget purchase into a superb professional drone for aerial photography. Despite the lack of camera, 3d drone is wonderfully designed to ensure a stable and largely problem-free flight. The drone has a very useful feature that allows it to “return home to safety,” in case the wind carries it away or battery power is low. The home here is the position the drone took off from. 3D Robotics Solo is also Gimbal supported, so you can just buy the bundle and get everything you need. The biggest downside is the short battery life, which most drones tend to suffer from. This drone is specifically designed for hobbyists. So, it’s cheaper than most drone cameras, but performance fares well in comparison. Like 3D Robotics Solo, this drone lacks an in-built camera. You are free to equip it with any camera if needed. Or you can just have fun flying it around. This is not a simple toy drone, however. 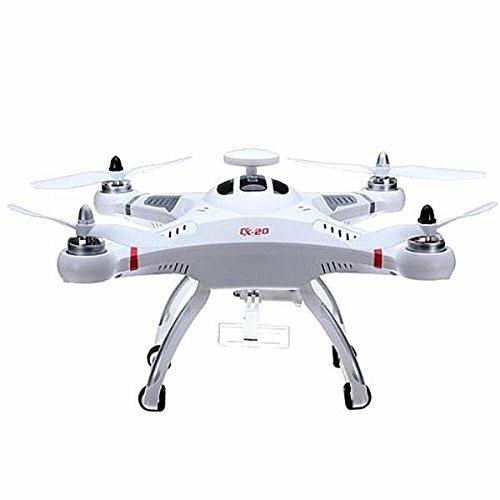 It has features like pathfinder, dedicated remote controller and vision positioning you see in most professional drones. This is a solid drone to possess if you already own a camera to equip it with. This drone has an appealing red accented exterior too. There are only a few cons and they all have to do with the battery. Battery life is quite short as you might already expect. Also, battery takes a very long time to charge as well. Other than that, you won’t regret buying this drone. This drone is very attractive. But it’s not all about the looks either. 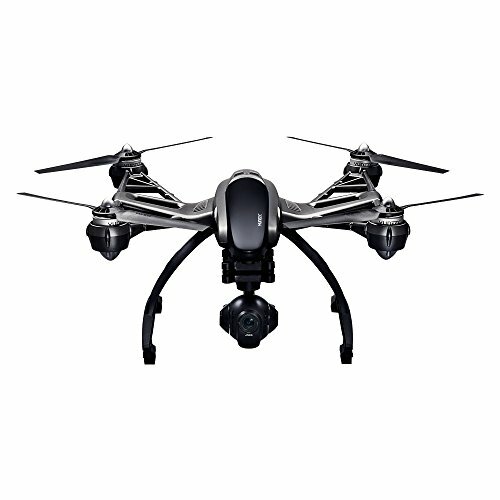 This drone has an in-built 12 MP camera that can take sharp, detailed photographs and shoot clear video. The lens is designed to be distortion free. The detachable camera has a handgrip you can use to take pictures while it’s not in the air. Also, the drone is surprisingly easy to fly thanks to the all-in-one controller. The controller itself has an LCD screen that will give you a first person POV of the drone in flight. You can access all controls straight from this screen. Plus, the drone comes in a spacious and stylish carrying case and 2 spare batteries. These extras, in addition to the feature, will not cost you a cent more. In fact, the Yuneec Typhoon is cheaper compared to most DJI drones with fewer features. As for cons, there is no waypoint navigation, which is a big downer. Conclusion: If you want the best drone camera, you will have to invest in one of the high-end ones mentioned above. Keep in mind that there are drones that you can buy for as cheap as $50. But these lack cameras, or even if there are any, the MP count will be only 1 or 2 and the pictures will not be clear.